IRS Prison Threats? Hang Up the Phone! Just this week, I received a phone call from a fellow who didn’t seem to be living his best life: He loudly explained to me that my tax filing would be cut off from the “headquarters” in 24 hours, and if I hadn’t addressed an unnamed 4 “serious issues” with my taxes by then, local cops would take me into custody. I hung up and went back to eating my lunch. It’s now been 24 hours since he called me, and I’m still kicking around outside prison—so what’s the secret to dodging fraudsters like this one? Electronic communication is tricky; in order for information to be sent by the internet, certain encryption measures must be built into the system you’re using. Unfortunately, phone calls and regular internet browsers aren’t bulletproof. The IRS knows this, so when it comes to issues regarding your personal information, they will only mail you directly through the USPS—especially when they are making first contact with you. Americans dread the IRS, but that fear mostly comes from not truly understanding the agency and how it operates. Scammers know this, and they bank on it; so long as they can force your hand with threats of prison, fines or other penalties, they go home with the gold. The truth is that the IRS has gone to great lengths to ease stress and concerns, educate on their actual procedures, and give filers a fair say through their Taxpayer Advocate service. Even if the threat comes in a letter instead of a phone call or email, the likelihood of cops showing up on your doorstep after no more than a 24-hour warning is a flat zero. As much as anyone would love to get a giant batch of Amazon gift cards, that’s just not how the IRS operates—electronic payments are available through their own website, where you can send any taxes owed directly from your bank account or pay with a credit card. You can also still pay the old-fashioned way: A mailed paper check through the good ol’ United States Postal Service. Since some fraudsters are so smart about playing by the IRS’s rules, it can sometimes be hard to tell the difference. To make absolutely sure, search for your letter, notice or form number on IRS.gov. If it is legitimate, you’ll find instructions on how to respond. If the completion of a form is required and it’s provided by a questionable contact, you should verify that the form is identical to the same form on IRS.gov. If you don’t find information on IRS.gov or the instructions are different from what you were told to do in the letter, notice or form, you can report the incident to the Treasury Inspector General for Tax Administration (TIGTA) and to the IRS by emailing phishing@irs.gov. What if I might already be a victim? 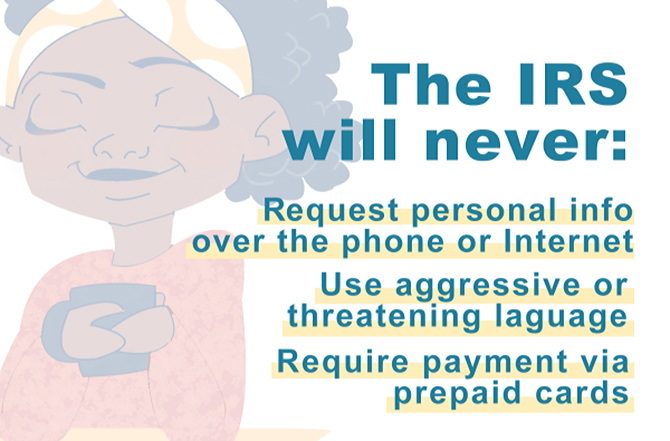 If you think your Social Security Number might be compromised, call the identity theft hotline immediately at (800) 908-4490 to secure your tax information and put the IRS Identity Protection Specialized Unit on alert. 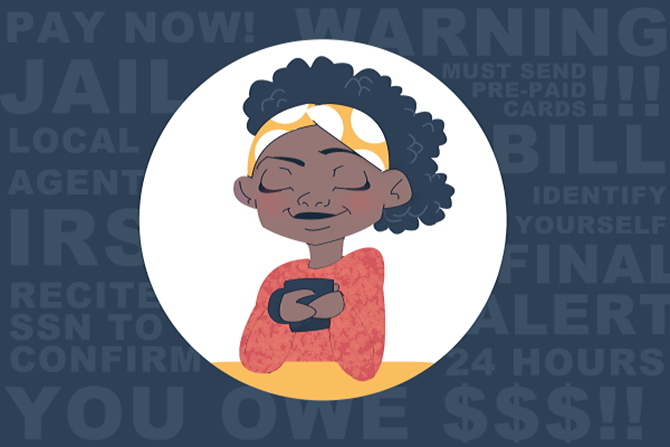 You’ll catch any potential fraud early, minimizing damage that could affect you for months. Speaking of locking things down early, one of the easiest ways to keep your info safe is to file your taxes early in the year. The IRS counts the first return filed in your name as legitimate, so fraudsters can’t file with your info if you’ve already submitted your tax return. On top of that, e-filing is the safest way to file your taxes, because there’s less likelihood of your information being intercepted than if you mailed a physical copy—and because of how important security is to us, you can make that filing process even safer when you file your taxes with 1040.com.